Golden Tiger Casino ranks as one of the most popular gambling operators which are part of the Casino Rewards Group and is frequented by thousands of players from a great number of countries. Its success among players is anything but surprising as Golden Tiger Casino offers its registered members a wealth of top-notch gaming options as well as lucrative welcome bonuses and a rewarding loyalty programme. The casino’s catalog spans over 500 first-rate games developed by gaming software provider Microgaming. Players can expect vivid, life-like graphics, lots of cool features, exciting sound effects, and intuitive gameplay without any glitches. The games range from everyone’s favorite video slots and video poker to table classics like roulette, baccarat, craps and blackjack. Less experienced players can test their luck on one of the many Keno or scratch card games. Golden Tiger Casino may have been introduced on the online gaming scene in 2001, yet the operator keeps track of the latest trends in the industry and is available in a mobile format. Players can choose from a nice range of prompt, safe and easy-to-use payment methods as well as several different currencies. Those, who experience issues with their payments or account management can easily resolve them by contacting Golden Tiger’s friendly support team via Live Chat, email or telephone. The casino operator is a fair and reliable online gambling destination. The licenses it has obtained from the Malta Gaming Authority and the UK Gambling Commission further attest to its dependability. Golden Tiger is owned and managed by Apollo Entertainment Limited and was launched in 2001. Minimum deposits are £40, while minimum withdrawals amount to £50. Minimum withdrawals via courier checks and direct bank transfers are set at £300. 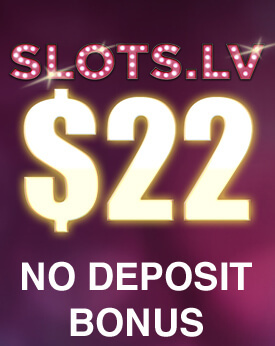 At the present moment, there are no active No Deposit bonuses on offer. Wagering requirements are 30x for the 1st deposit bonus and 60x for the other four bonuses. Existing players are awarded Double Loyalty Points on selected slots but as offers change through time, player should consider visiting Golden Tiger’s promotional section regularly to keep up to date with the latest promotions. Each real-money wager earns players Loyalty Points. Players, who have collected 1,000 points can exchange them at the rate of 100 points for £1(or the currency equivalent) in casino chips. Golden Tiger Casino runs on software provided by developer Microgaming. 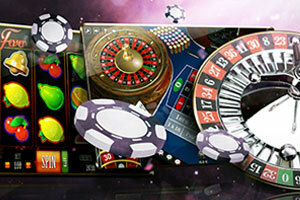 The casino is available for Instant Play or via the downloadable casino client. You can win a life-changing jackpot by playing Megah Moolah, King Cashalot, Major Millions, Treasure Nile or Caribbean Draw Poker, among other games. The casino catalog features hundreds of video slots, 3-reel slots, video poker, table games like Atlantic City, Double Exposure and Spanish Blackjack, Pontoon, European, French and American Roulette, Baccarat, Craps, Sic Bo, Caribbean Draw and Cyberstud Poker. Different scratch cards and bingo variants are also on offer. Currently, there are no Live Dealer games available. The mobile-responsive website is compatible with portable devices running on Android, iOS and Windows. No downloadable application is available, but players can access the casino directly through their browsers. Players can deposit via eChecks, bank transfers, credit/debit cards by Visa, Mastercard, Diners Club and Maestro, Neteller, Skrill, PayPal, Entropay, PaySafeCard, EcoPayz, Euteller, Giropay, iDeal, Qiwi, Trustly, Sofort, InstaDebit and Multibanco. The following currencies are accepted – CAD, USD, GBP, and EUR. Golden Tiger is available in 12 languages – English, Danish, Dutch, German, Spanish, Finnish, French, Italian, Norwegian, Portuguese, Russian, and Swedish. Golden Tiger operates under licenses issued by the Malta Gaming Authority (number: MGA/CL1/501/2008) and the UK Gambling Commission (number: 000-038620-R-319310-004). Golden Tiger Casino is one of the most prominent in the world of online gambling and part of the reasons behind that is that it is capable of offering a great selection of games. Golden Tiger receives its software from Microgaming, a company with an immense gaming library and a leader in the development of online casino games. Microgaming has more than two decades of experience and this is reflected in the product that they offer. Golden Tiger is host to more than 500 unique casino games, which includes most of the popular game genres. 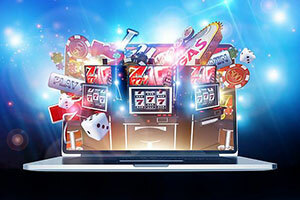 Players can access the gaming library by downloading the dedicated casino client or via the instant play interface. Additionally, a large portion of the games is also available on mobile devices, meaning that you can take the casino anywhere you go. Slots are the speciality of Microgaming and there are more than enough at Golden Tiger to satisfy even the most capricious of gamblers. Slots at Golden Tiger easily number in the hundreds and there is always something there to keep your attention. Looking deeper into the slots selection, we see that is not only quite extensive, but also very diverse. With such a large pool of games, it is reasonable to expect that there will be a large variety in terms of themes and Golden Tiger does not disappoint. 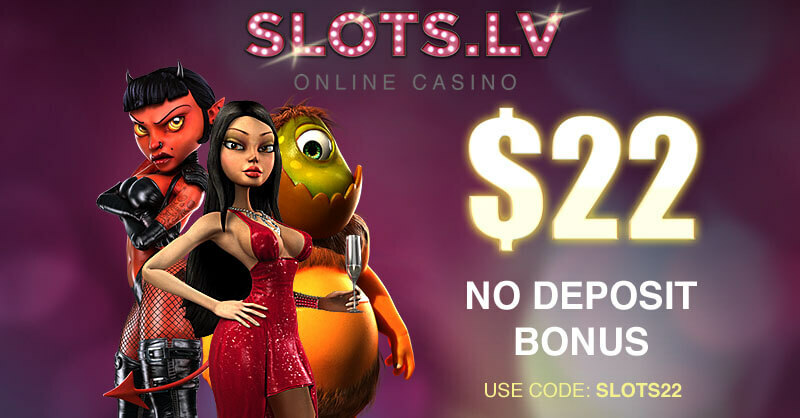 At this online casino, you will find a good number of both classic and modern video slots. One of the most popular themes in moderns lot games is mythology and Golden Tiger has that in spades, with titles such as Thunderstruck I and II, Avalon II, Forbidden Throne and more. Additionally, Microgaming also heavily favours Asian-themed games and Golden Tiger can offer you Win Sum Dim Sum, Dragon Dance, Dragon Lady, Lucky Firecracker and many more. Those who like modern television and film will be pleased to hear that Golden Tiger hosts multiple branded slots based on popular series and movies, more specifically, Game of Thrones, Jurassic Park, Bridesmaids, and Tarzan, among others. If instead, sports-themed slots are more your thing, you will be happy to know that you can play Shoot!, Break Away, Sure Win, Rugby Star and plenty more. These are only some examples of Golden Tiger’s immense selection of video slots and you will find a whole lot more if you join. In terms of classic slots, Golden Tiger is prepared. Here you will be able to play games such as Lucky Charmer, Sizzling Scorpions, Spectacular: Wheel of Wealth and others. Classic slots are highly simplistic and can be an excellent starting point for newer gamblers. All of the games that we have mentioned here come with very wide betting options, making them accessible to anyone. Moreover, each of them has some sort of special feature which will make the experience that much more exciting. Of course, this is only a tiny part of Golden Tiger’s selection and we highly recommend that you look at it personally. 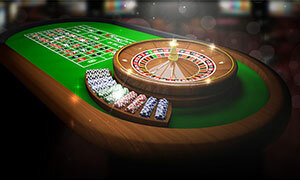 Roulette is an all-time classic that deserves a stop in any casino, be it land-based or virtual. This game has stood the test of time and is now a favourite, enjoying a special place in the hearts and minds of gamblers from all over the globe. Therefore, it only makes sense for Golden Tiger to pick the best out of Microgaming’s selection and place them in its gaming library for its customers to play. At Golden Tiger, you will find mostly classic iterations of roulette or such that do not stray too far from the tried and tested formula. Chief among them is the Gold series of roulette games, which includes European Roulette Gold and Multi Wheel European Roulette Gold. The former is the traditional European Roulette variation and it is the prefered game for most experienced gamblers. It is characterised by its solid graphics and excellent gameplay, as well as certain features which make the game more enjoyable such as a statistics panel. Multi-Wheel European Roulette Gold, on the other hand, which allows you to play with up to 8 separate roulette wheels at once. 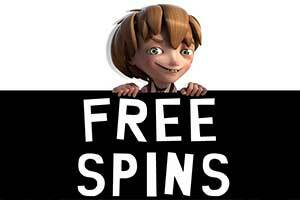 Each additional wheel multiplies your bet and you can end up with a lot of winnings if you are lucky enough. Moreover, it follows standard European rules, meaning that you will not be out of your depth when playing this game. There are also several French variations of roulette at Golden Tiger and the best thing about them is that they feature the La Partage and En Prison rules, which effectively reduce the house edge by half. Moreover, they also come with several customisation options, giving you better control over the game. Betting options generally range from £1.00 to £80 on most Microgaming roulette games, though there are certain exceptions to this rule, such as Premiere Roulette, which allows for bets between £0.25 and £1,000. 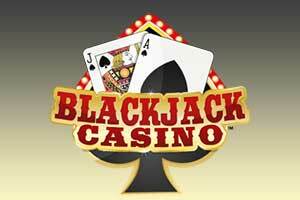 Blackjack has always been in the spotlight of casino gambling and the same is true for its online counterpart. Blackjack is quite simplistic to play, but mastering it will be somewhat difficult. This means that the game is appealing to both casual players and veterans of the industry. Something that not everyone takes into consideration is that blackjack is one of the fairest casino games out there and the offerings at Golden Tiger come with return-to-player percentages of more than 99%. Microgaming’s blackjack selection is nothing to scoff at as it includes some of the most beloved variations. Some of the best blackjack games at Golden Tiger include Atlantic City Blackjack Gold which follows the rules of Atlantic City casinos, making it immediately recognisable. Moreover, it comes with some great betting limits, varying between £1 and £200 per hand. Another excellent blackjack option is Double Exposure Blackjack Gold where players get to see both of the dealer’s card and make their decisions accordingly. There are some differences between this and more traditional versions of blackjack, for example, the fact that a Blackjack hand only pays 1:1 and the dealer wins any ties. Double Exposure Blackjack Gold allows players to bet a minimum of £1.00 and a maximum of £200. It should be noted that Golden Tiger also offers Multi-Hand variations on most blackjack games, which allows you to play with multiple hands at the same time. Blackjack experts will no doubt appreciate these offerings and make great use of them. Video poker is one of the most beloved and diverse casino game genres at Golden Tiger and there are quite a large number of games for you to enjoy. Here, you will find only the best video poker variations. For example, Tens or Better is an all-time classic, allowing you to form winning combinations starting from a pair of 10s. Moreover, you will get to wager up to 5 coins per hand and possibly win up to 4,000 coins for scoring a Royal Flush. Aces and Eights is a variation of the classic game, where the minimum winning hand is a pair of Jacks, however, it also rewards some more extravagant and specific combinations, such as four 7s, 8s, and Aces. A generous paytable is featured in Aces and Eights, rewarding up to 4,000 coins for a Royal Flush when playing at the maximum 5 coins. Deuces Wild is another video poker variation that you should definitely play. This sub-genre of video poker uses the 2s as Wild cards and they can stand in for any other card in the game. Moreover, the game allows you to wager up to 5 coins and the maximum reward is 4,000 coins for a Royal Flush. Something else that you should also take into account is that many of the video poker titles at Golden Tiger are also available in the Power Poker style, where you can play multiple hands at once. 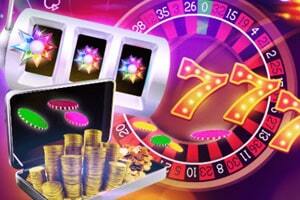 Progressive jackpot games are certainly gaining in popularity as more players enter the online casino scene. These are some of the most sought-after games in the industry and you can find some of the best a Golden Tiger Casino. Golden Tiger is host to several progressive jackpot games some of which are quite popular with the overall player base. Mega Moolah is one of the most widely known progressive jackpot games and it is has been the talk of the gambling world for some time. It is a slot game which features an animal theme and it comes with one of the largest jackpots. It is rather simplistic, featuring 25 paylines and the betting options are not as extensive as other games, allowing you to wager up to 5 coins per line with a maximum value of £0.05 per coin. This makes for a maximum bet of £6.25. To win the progressive jackpot you have to play on all paylines at the maximum coin value. SupaJax is a progressive video poker game based on the Jacks or Better variation. In this game, the minimum qualifying hand is a pair of Jacks. 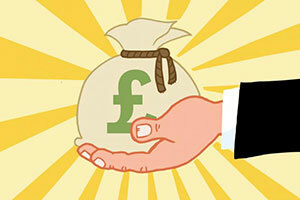 Players can wager up to 5 coins per hand, each with a value between £1 and £5. To win the jackpot, one has to score a hand made up of a SupaJax Card and four Jacks while playing at the maximum number of coins. Major Millions is a progressive slot, where a Major is giving out his fortune. The game features a cartoonish military theme and comes with 5 reels and 15 paylines. Players can wager up to 3 coins per payline which have a set value of £0.20. The key to winning the jackpot is to line up 5 Major Millions symbols on the 15th payline while playing at the maximum bet of £3.00. 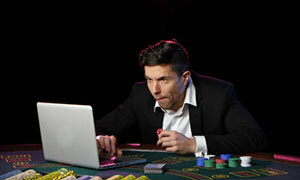 Live casinos are the latest fad in the online gambling industry and one that appears to stick around for a long time. 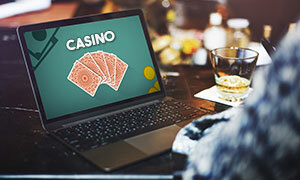 Ever since they first started appearing at online casinos around a decade ago, live dealer games have taken the gambling industry by storm and are some of the most played out there. Unlike virtual games, live dealer games feature a professional dealer who hosts a table and runs the game. Players make decisions and place bets and the whole thing is streamed to their devices. This is the most engaging and immersive form of online gambling that we know of and as a result, live dealer games are in high demand. Golden Tiger has not neglected this fact and has included some of Microgaming’s most popular live dealer games. Here, you can try your luck on Live Roulette, Live Blackjack, Live Baccarat and more. Microgaming’s live dealer games are known for featuring lose betting limits, with the minimum bet often starting at £1.00 and rarely going over £200. Are my transactions to and from Golden Tiger Casino secure? To answer shortly, yes. Players need not be concerned about their personal and financial details. Similarly to banking institutions, Golden Tiger utilizes 128-bit encryptions to protect sensitive information and prevent identity thefts, frauds and misappropriations. It all depends on the payment method players have selected. Withdrawals processed to e-wallets and credit/debit cards do not involve any fees. Then again, this is not the case when one requests a withdrawal via courier cheques and regular mail cheques – these are associated with fees of £15 and £30, respectively. The fees are deducted from the withdrawal amount. Golden Tiger accepts only easy-to-use, quick and safe deposit methods. Some of the most popular options include direct bank transfers, credit and debit cards by Visa and Mastercard, e-wallets by Skrill and Neteller as well as prepaid vouchers by PaySafeCard. 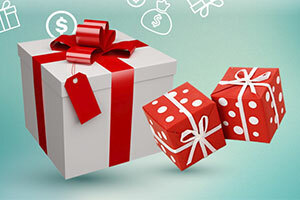 Typically, deposits are credited to players’ accounts immediately and do not involve any fees. Players are allowed to register up to five different credit/debit cards – the deposit limits for each card are refreshed back to £2,000 every day. Not only are the outcomes of the games determined by a Random Number Generator (RNG), but Golden Tiger publishes the payout percentages of every single title on its portfolio. In addition, the gaming catalog is tested on a regular basis by third-party testing agency eCogra.